Luxury Townhomes with the most spectacular Views! A Private community located in Guttenberg within minutes from all major highways & convenient to all public transportation.Jacobs Ferry/Bulls Ferry/Harbor Place is a presitigious waterfront community on the Hudson River overlooking the glittering Mahattan skyline. 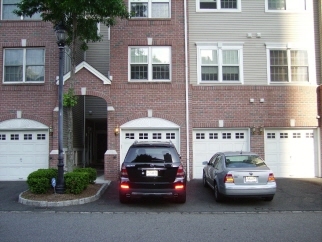 Upon entering you are wlecome with River front views,hardwood floors, high ceilings,top of the line Kitchen with granite countertops, plus a one car garage that you enter into the townhome with ease. The masterbedroom is a good size with a huge walk-in closet and your own Balcony and a master bath. A nice size second bedroom with a second bath to complete this great home. A Must see!